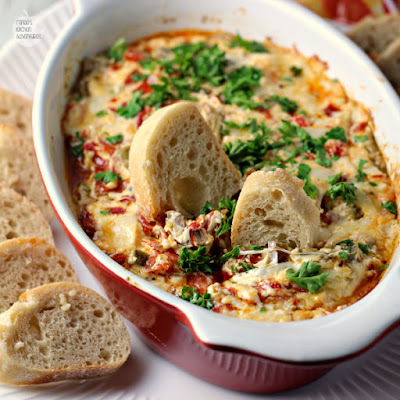 Looking for a quick and easy last-minute appetizer idea for the big game this weekend? 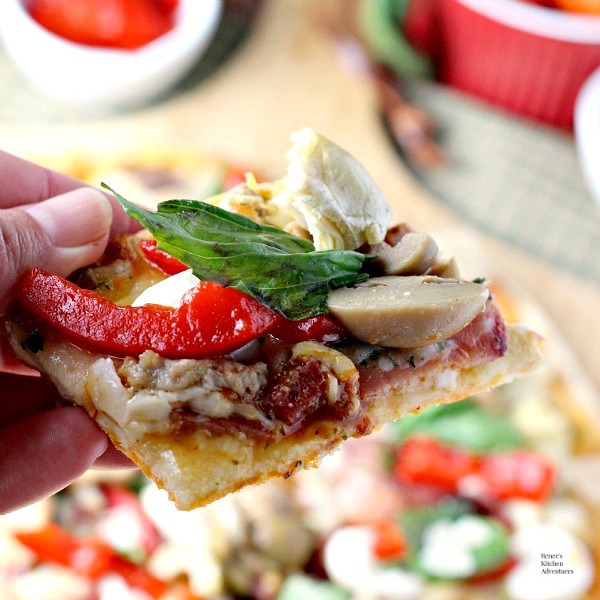 Look no further, because Quick Antipasto Pizza is your answer! With just a few ingredients you can have this sophisticated big game nosh ready in no time! This is seriously one of the easiest and most delicious quick fixes I have ever made! In about the time it takes you to bake up a frozen pizza, you can have this gorgeous appetizer ready to serve to your guests! I was able to find a huge assortment of olives and marinated veggies at the olive bar in my local grocery store, but if you can't buy them in bulk from an olive bar, you will be able to find everything jarred or canned. 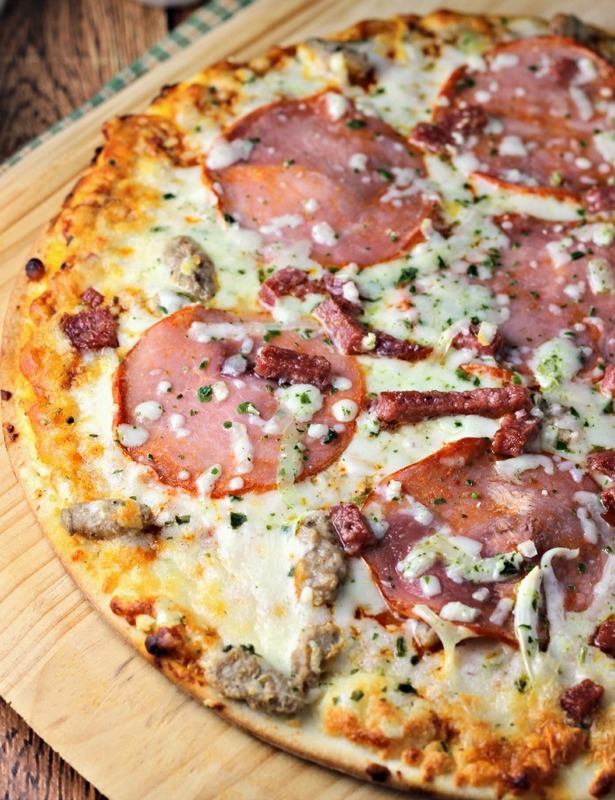 I happen to like thin crust pizzas, so I chose this Italian meats thin crust pizza for my base. I love that it has prosciutto on it already! If you use a pepperoni pizza as your base, you can always add some prosciutto or salami to the toppings...or not...it's your choice! I cut my pizza into squares (even though it's a round pizza) instead of wedges to get a few more servings and allow more space for the toppings to fit comfortably. You've got to give this idea a try! Are you going to watch the big game this weekend? What are you serving? Crisp thin-crust frozen meat pizza is transformed into a delicious appetizer with the addition of a few simple ingredients! 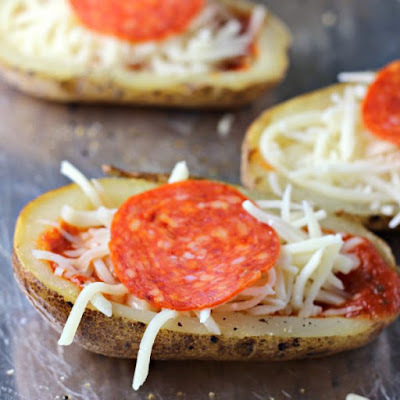 Put the baked pizza on a platter and cut into wedges or into squares with a pizza cutter but leave it all together. (I prefer squares because it stretches it further and the toppings fit better on each piece.) Cutting beforehand will allow the toppings to look nice and not get displaced before serving it. While pizza is still hot, scatter the fresh mozzarella over the top. The heat of the pizza will partially melt the cheese. 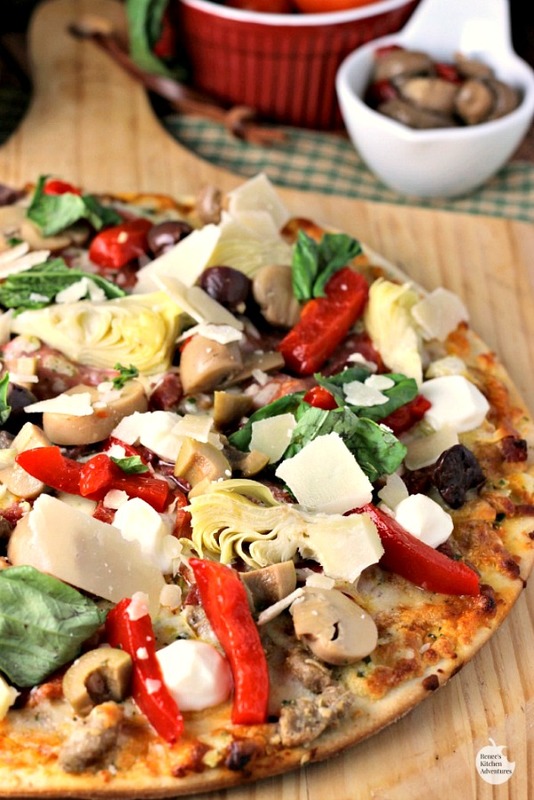 Scatter the marinated artichokes, red peppers and veggies/olives over the pizza. Tear the basil leaves into bite sized pieces and scatter on top of veggies. Sprinkle with Parmesan cheese. Serve warm. 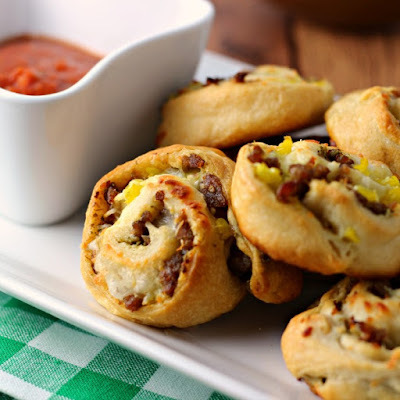 Check out these other great ideas for the big game! What a totally cool idea. My local grocery store has fantastic antipasto. This sounds like dinner friday night. Such a creative and unique recipe! I will be trying this soon!! Yum yum yum! 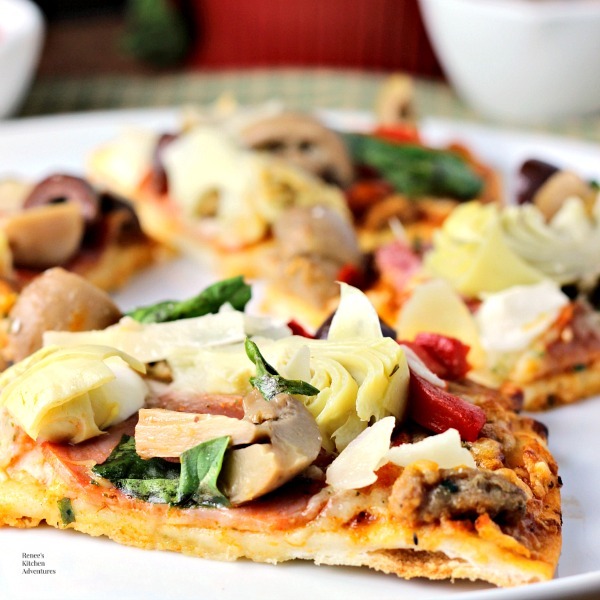 Pizza is my favorite food, so I am loving your recipe! 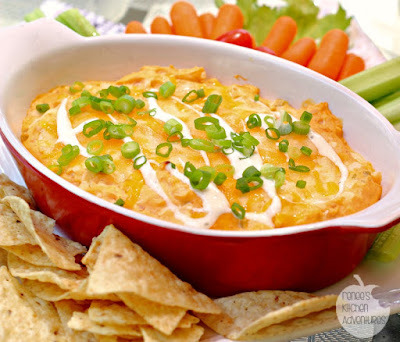 Looks delicious AND I made your Buffalo Chicken Wing Dip for game day!